February 10, 2015 by Don Stephens. August 26, 2014 by Don Stephens. 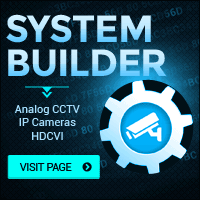 You need to start somewhere and if you've gotten as far as this article, you know by now that picking out the equipment for your CCTV system isn't as simple as you originally thought. Don’t worry; we’re going to make this fun again. We just need to cover some more of the basics and you’ll be back in business. March 28, 2014 by Don Stephens.